Hoplon, the studio behind Heavy Metal Machines, is using creativity and dedication to build an MMO worthy of global esports. Unlike the vast majority of Brazilian games released in recent years, Heavy Metal Machines (HMM) isn’t the creation of a recently-formed indie team. Hoplon, the development studio behind the game, was founded in 2000, a time when many of the professionals developing games in the country today probably weren’t even thinking about their careers. “The average age of the Hoplitas – as the team members are called – is 31. Back in 2000, most of them were just having fun playing games,“ says Eros Carvalho, Hoplon’s Head of Studio and Development. Hoplon is working on different fronts to expand its ever-increasing the fan base. The first one is the Metal League, a competition made possible thanks to a new in-game tool. It creates a competitive "queue” and the teams enter in a certain day and time in order to compete. “It's another important step we took to consolidate HMM in the eSports scene,” says Eros. In this aspect, HMM has plenty to offer: You can use real money to buy a huge variety of cosmetic items, including new vehicles and styles, different types of visual effects, sprays, and XP boosters. You can also earn stuff for free thanks to the Metal Pass, HMM’s progression system. Currently in its third season titled Sect of Metal, the Metal Pass rewards players according to their XP level, which can be increased by completing weekly missions. There’s a total of 100 rewards per season, but only half of them can be unlocked by everyone. For the other half, players must buy the Metal Pass Premium, which includes exclusive items and also helps you level up faster. Additionally, you can buy a more expensive version of the premium pass that automatically unlocks 20 levels, granting immediate access to the first 40 rewards. The other way the company is working to expand the game's reach around the world is by providing customer support 24/7 in 6 different languages: Portuguese, English, Russian, Polish, French and Turkish. “Later this year, we'll expand HMM to China. This will definitely put the game on a higher level in the market,” comments Tatiana. Heavy Metal Machines’ unique gameplay makes it perfectly suitable for consoles, which is a good thing considering the number of options MOBA fans currently have outside the PC and mobile devices. That combined with the Rock n' Roll Racing feel created by the game's theme might be exactly what Heavy Metal Machines needs to become a hit worldwide. “We have plans to release HMM on consoles. We’re just entering this market. It will certainly help to popularize the game,” says Tatiana. Developer Hoplon made its name with Taikodom, a space MMO – or a Massive Social Game, as it was considered by the team – inspired by EVE Online. The original version was released in 2008, but in 2011 it was replaced by an improved free-to-play version subtitled Living Universe, which was then launched globally. Taikodom’s server effectively shut down on May 31st, 2015, after one final space battle between the players and the developers. Hoplon was also responsible for the distribution of APB Reloaded, the free-to-play version of Realtime Worlds’ last game, in Brazil, back in 2012. That’s when the company made the daring jump from space MMO to post-apocalyptic MOBA. The concept for Heavy Metal Machines was concocted in 2013, in a weekly meeting to discuss new projects. “Back then, the team gathered every monday to bring new ideas. That’s when we came up with the idea for an unique MOBA, with vehicles and a post-apocalyptic theme,” explains Eros. HMM’s open beta went live in January 2017, and the game was officially released last September. 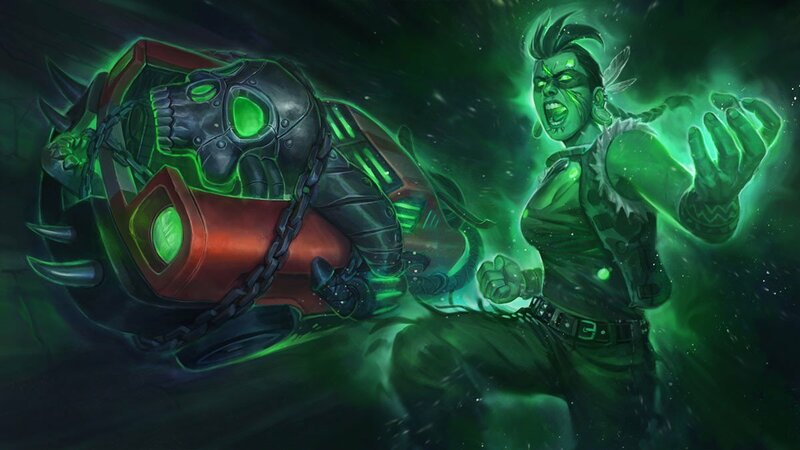 Although it’s not hard to imagine a MOBA with cars instead of the traditional champions found in other games of the same genre, this isn’t a simple skin change. The way the units are controlled is different: You have to keep the left button pressed down to accelerate and move the mouse to steer the vehicle. It works just like in Avalanche Studios’ Renegade Ops, one of the less obvious inspirations for HMM, creating a gameplay that’s fast-paced, intense and chaotic. 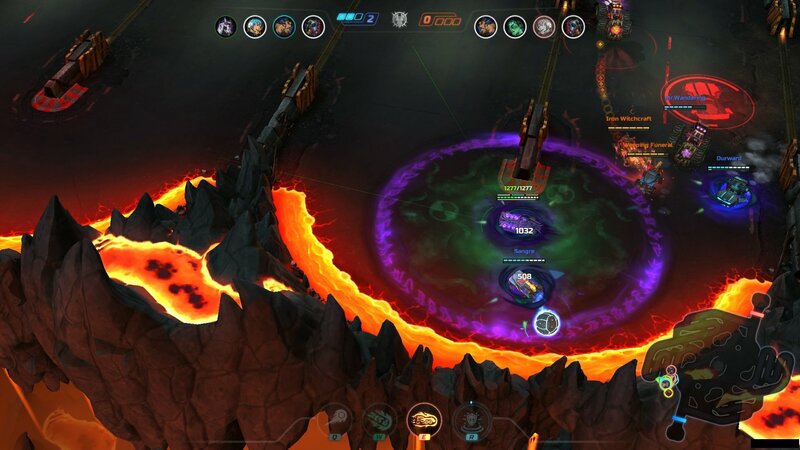 The main objective is to grab the bomb in the middle of the arena, carry it to the opponent's side, and fling it into their base. The first team to deliver the bomb three times wins the match. It sounds simple enough, but we’re not talking about a Rocket League type of game — you’re not in a soccer stadium, but in an arena full of deadly hazards competing against enemies equipped with even deadlier weapons. That’s where the teamwork comes in. Each type of vehicle has its own advantages and disadvantages, and knowing how to use them is key to win the match. As the name implies, Transporters are the best for carrying the bomb, as they are tougher and can take more damage. Support machines are focused on protecting and repairing team members, while Interceptors use their weapons mainly to inflict massive damage and destroy opponents. In total, the game currently has 15 different machines. The trickiest part of transporting the bomb across the arena is the fact that you can’t use shortcuts, as invisible barriers don’t let the bomb pass, forcing you to take the long way to get to the enemies’ base. In real life, Hoplon has its own obstacles with Heavy Metal Machines. 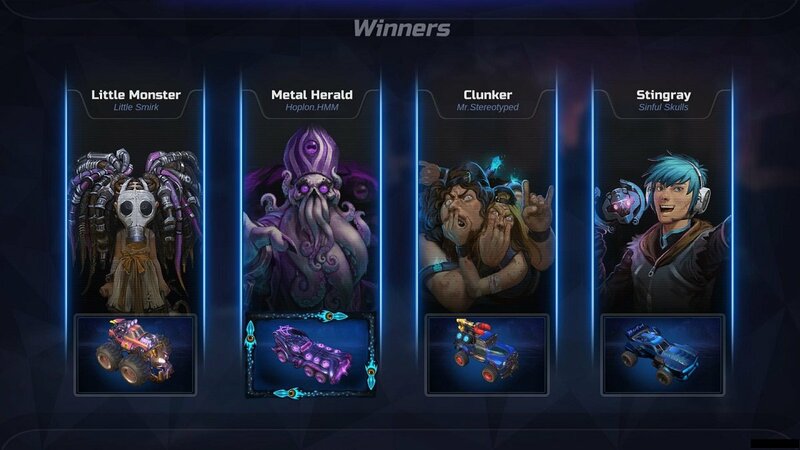 Hoplon knows that releasing a MOBA nowadays and making it relevant is not an easy task, but the company trusts in its creation and has a plan to make it successful worldwide. “We’ve developed an innovative game, mixing elements that resulted in a challenging experience. But when you create something different, it's always necessary to simplify things so people can understand the game. Finding this balance can be hard,” says Eros. You can download Heavy Metal Machines for free by visiting the game's official website.